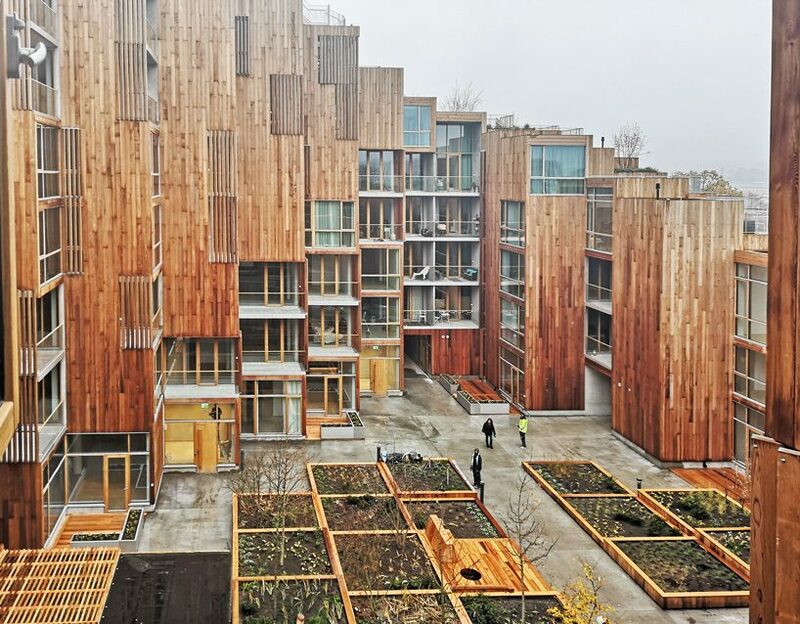 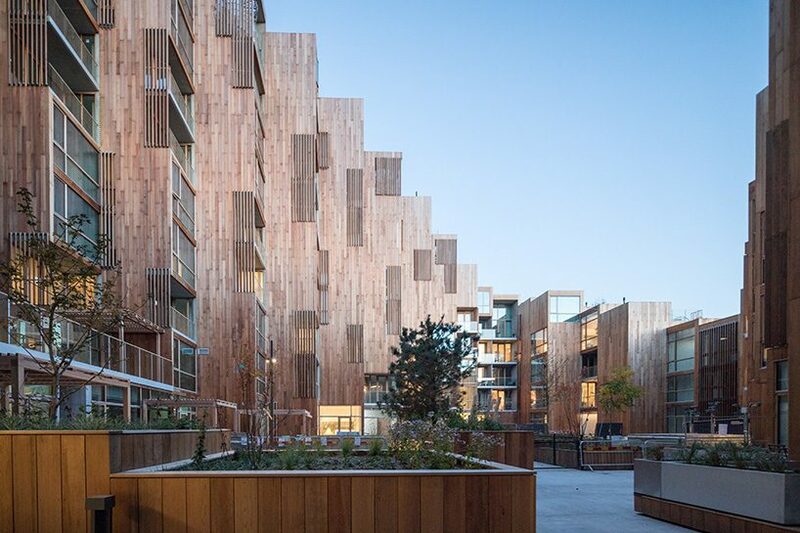 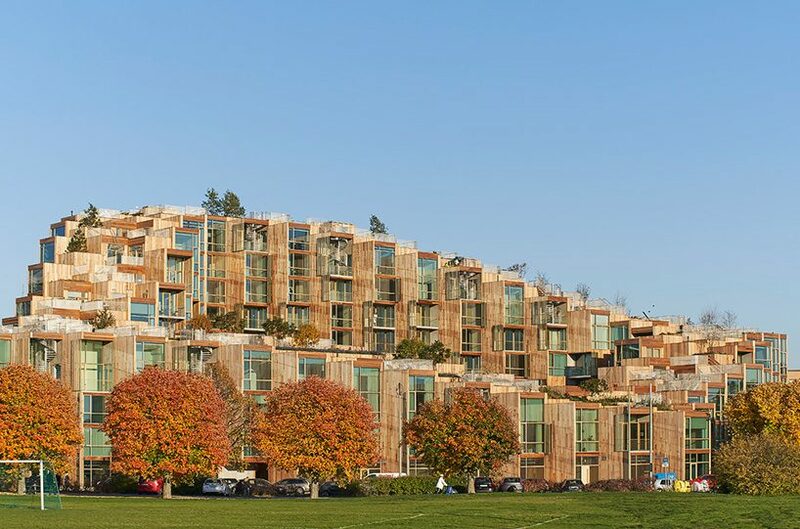 stockholm‘s 79&park, the residential complex planned by bjarke ingles group (BIG) back in 2015 (see designboom’s previous coverage here), is now complete and will open for public viewings on sunday, 11 november. 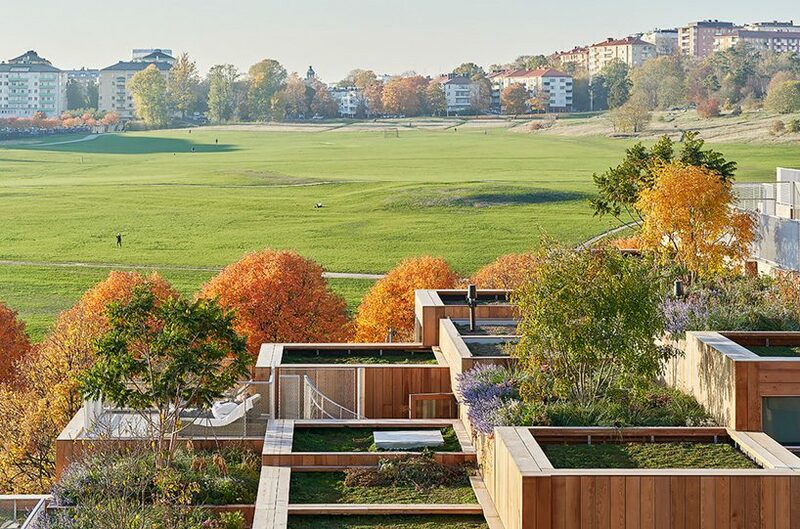 developed in collaboration with oscar properties as an extension of the royal national city park that lays in front of it, the building incorporates a succession of green rooftop terraces on top of its cubic structure. 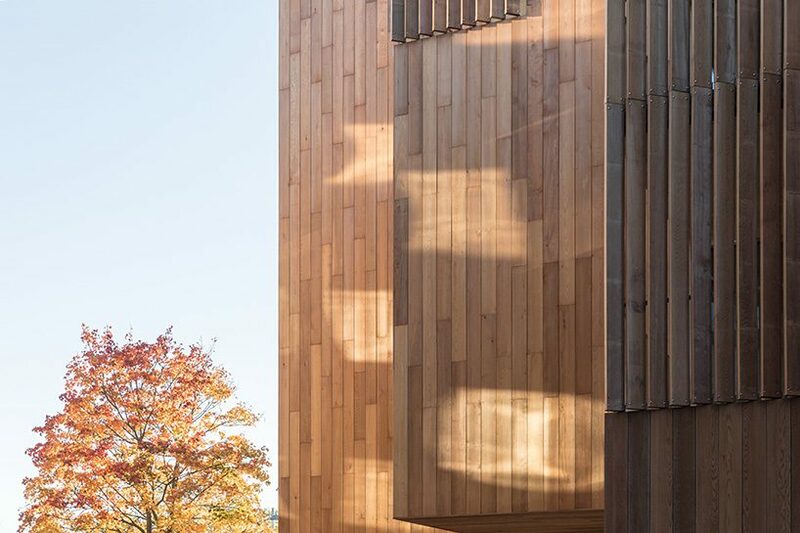 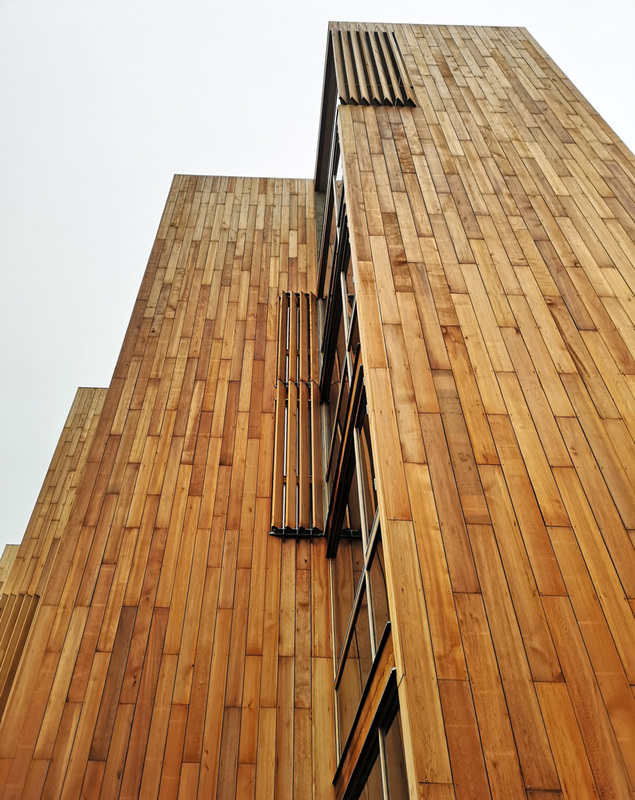 BIG has combined cedar wood and glass for 79 & park’s façade, establishing a strong connection to the surrounding nature. 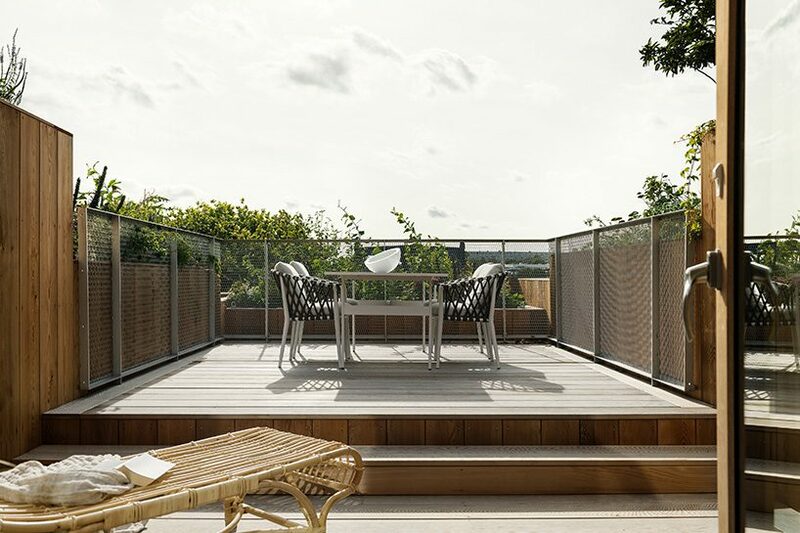 in addition to the private and common balconies and terraces that offer unrestricted views to residents, the project also includes several outside areas that are open to the general public. 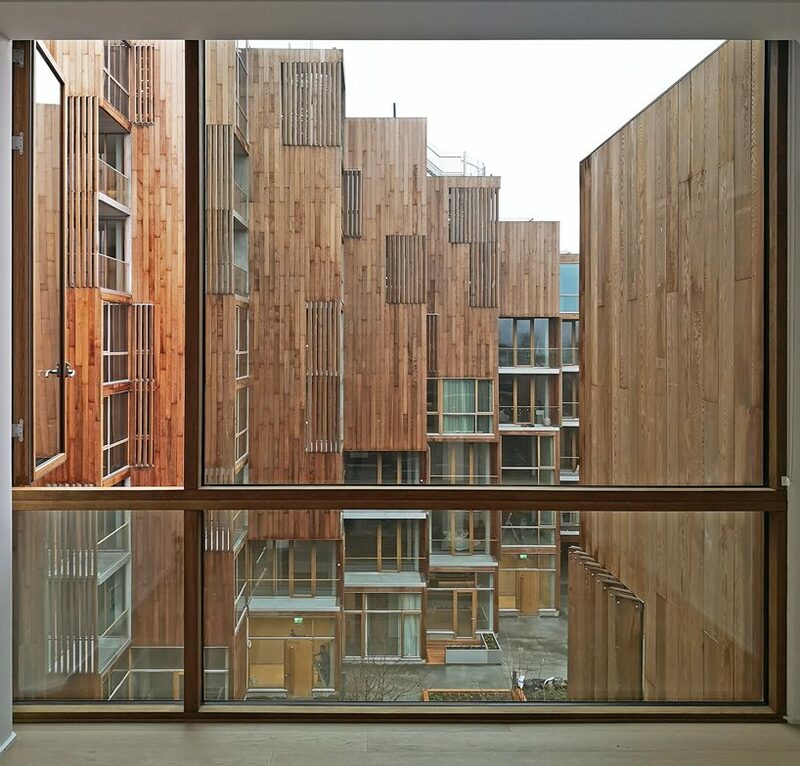 the residential complex is developed as a pixel structure, whose unevenly extruded units house 168 apartments of different layout solutions. 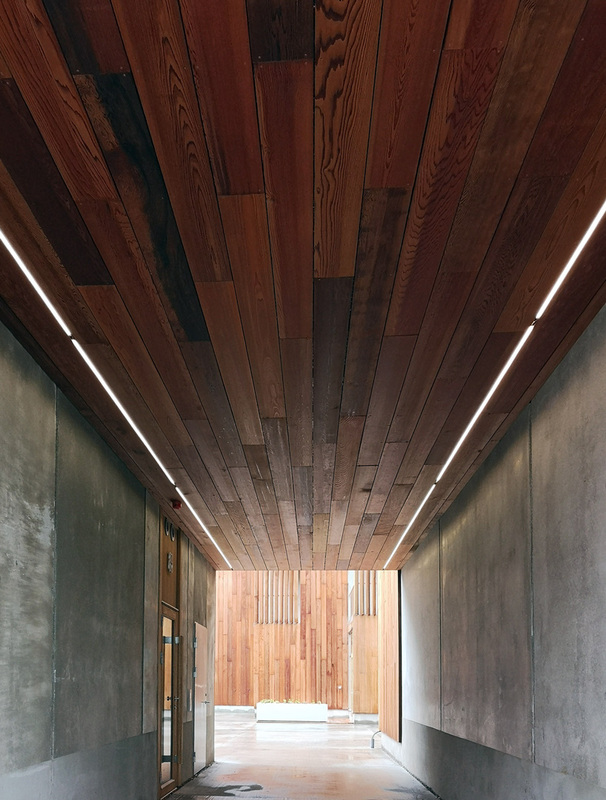 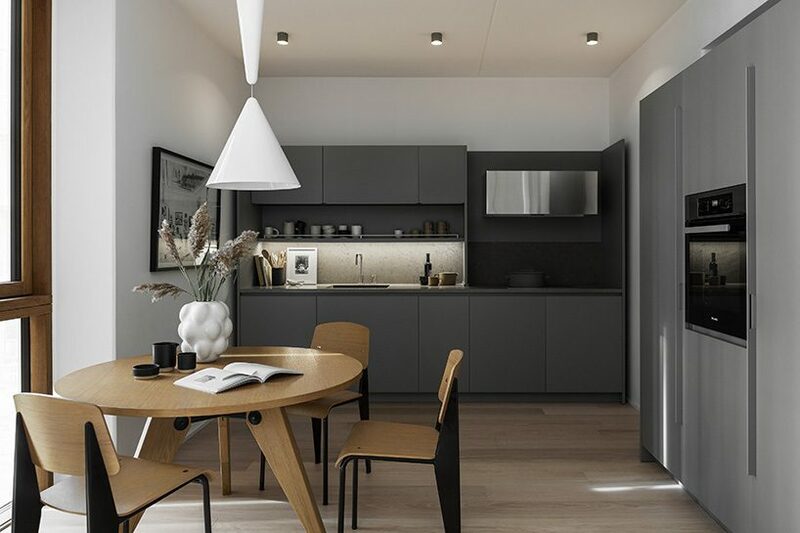 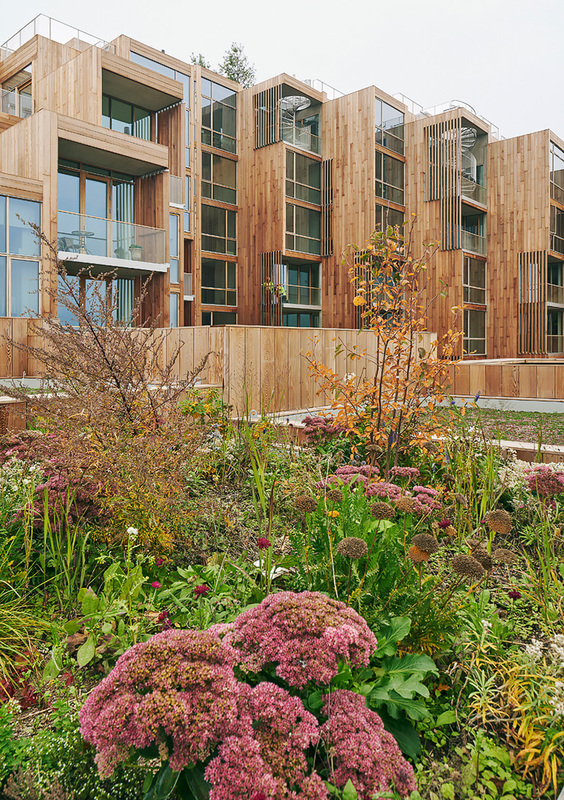 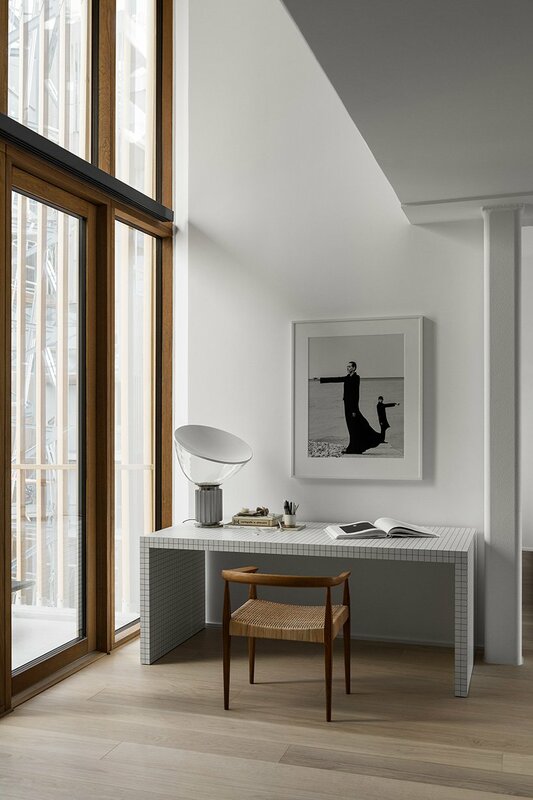 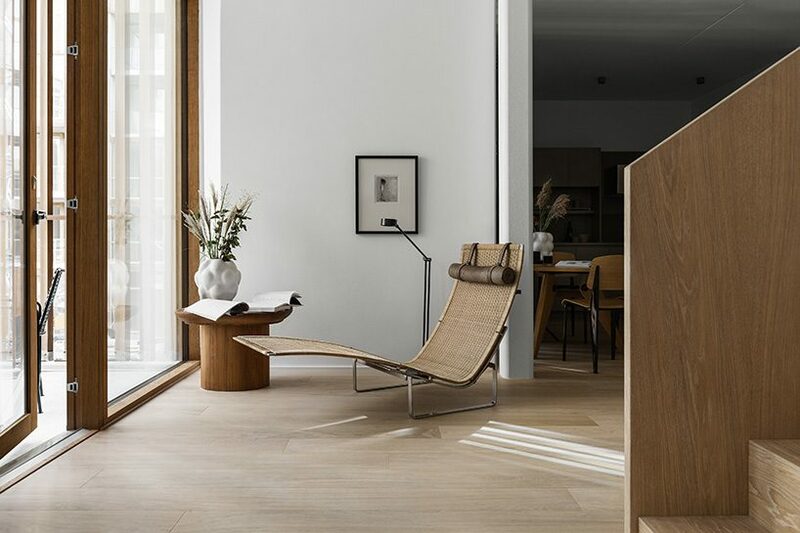 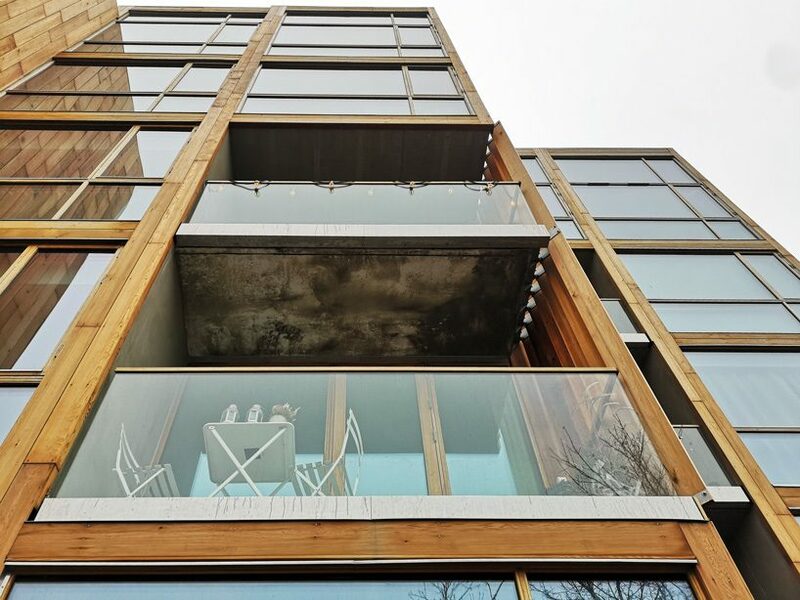 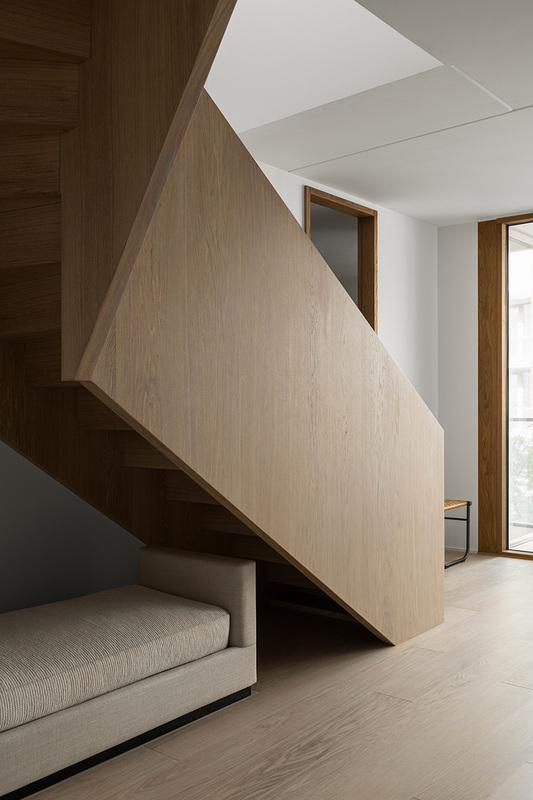 tactile materials such as oak floors, granite ceramic bathrooms, and stone in kitchens extend the connection to nature inside the apartments, while floor-to-ceiling windows and balcony doors allow plenty of daylight to enter the spaces.